Discussion in 'Plumbing Forum, Professional & DIY Advice' started by greekguy7, Feb 13, 2019. I went to put in a Moen faucet that had the supply lines already attached: 3/8" compression connection at the end of them which is very typical application. It turns out the shutoff valves I had in there were 1/2"compression on the end. Darn! Went to get some adapters to go from 1/2" compression to 3/8" compression and one of them dripped so I changed out the entire shutoff valve, and was on my way. You see a lot of shutoff valves in kitchen or baths that are 1/2"? Seems like most are 3/8". I think the reason the adapter leaked on one of them is because I was in a hurry and messed up the rubber o-ring that came with the adapter. Is that what makes the actual tight seal connection? Without seeing what you have, I can say that if there is an O-Ring there, they are used as seals. No tape is needed for those, or for compression connections. 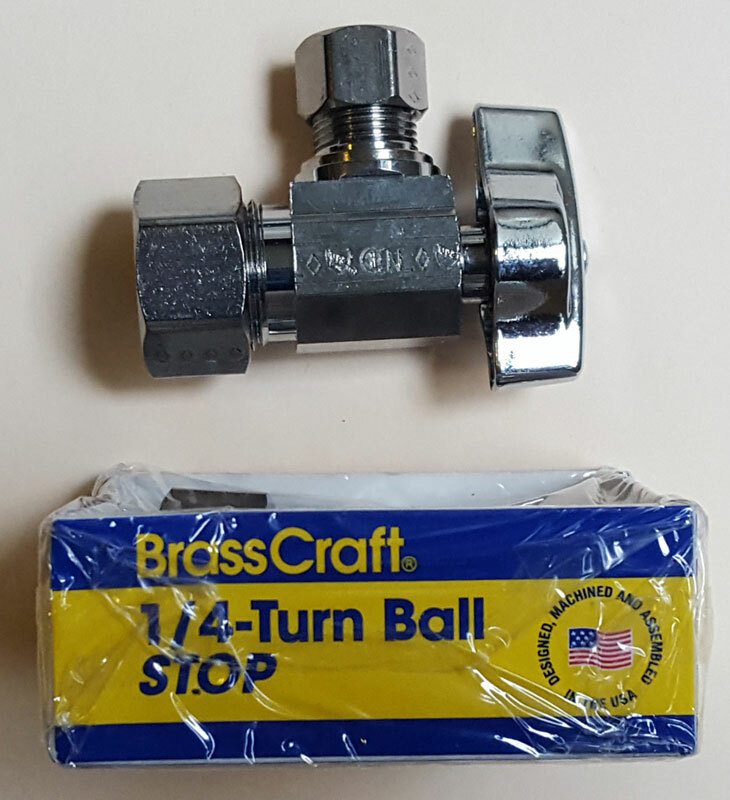 Many new faucets are coming with their own supplies made to fit 3/8" compression stops. This one below fits 1/2" copper (5/8" OD) with a 3/8" compression outlet. FWIW, in a home, a kitchen faucet is flow restricted, so 3/8" works fine. Now you have easier-to-operate stop valves. So nice upgrade.